« There is no document of culture that is not at the same time a document of barbarism. In the frame of the themed exhibitions (censorship, new technologies, women, water, towards a changing world) held in Platform 38 WILSON, Nathalie Parienté is glad to present a new exhibition devoted to the work of the Catalan photographer Joan Fontcuberta. The exhibition displays ten recent works from his Deletrix series, which reflect on censorship and on the violence performed to a document, the infringement to the freedom of expression and the restrictions to the dissemination and the violation of universal knowledge. After studying Sciences of Information in the Universitat Autònoma de Barcelona in the 70s (also called by the university: « Sciences of Manipulation »), since the beginning of the 80s, distorting photographic images, the artist started to build a conceptual body of work which wonders, by the means of fiction, about the different ways of transmiting wisdom. In his recent Deletrix series, Joan Fontcuberta takes photographs of documents belonging to universal wisdom, such as pages from the Adages of Erasmus (in its latin edition published in Basel in 1541, preserved in the Historical Library of the University of Salamanca) that had undergone acts of censorship (being covered with stains or erased). In this case, the artist doesn’t perform any intervention other than finding the documents and selecting and registering through photography those acts of violence towards the freedom of thought and expression. But, as the Spanish art critic Manuel Guerrero Brillet points out, « naked witnesses of the intolerance, of the totalitarianism lying within the origin of those documents which, nevertheless, belong to our cultural heritage, those images remind us that the fight for a critical appraisal of our cultural tradition is as important as the fight for the freedom of expression ». Born in Barcelona in 1955, where he currently lives and works, Joan Fontcuberta has developped multiple activities as an artist, theoretician, teacher and exhibition curator. He is one of the major figures of contemporary photography. In 1996 he directed the Rencontres de la photographie d’Arles and, since 2003, he teaches regularly in the Department of Visual and Environmental Studies of the Harvard University (Cambridge, MA, USA). In 1994, Joan Fontcuberta was named Chevalier de l’Ordre des Arts et des Lettres by the French Culture Ministry and, in 1998, he received the National Prize of Photography, awarded by the Spanish Ministry of Culture. His work is featured in the collections of the most prestigious international institutions, such as: MoMa New York, Metropolitan Museum of Art, New York, SF MoMA San Francisco, The Art Institute of Chicago, USA, Ludwig Museum, Köln, Germany, Musée de l’Elysée, Lausanne, Switzerland, Reina Sofia Madrid, Macba Barcelona, IVAM, Valencia, Spain, Centre Georges Pompidou Paris, Fonds National d’Art Contemporain Paris, FRACS Haute-Normandie, Alsace, Aquitaine, Rhône-Alpes, Champagne-Ardennes…, Musée Cantini, Marseille, Fondation Antoine de Galbert La Maison Rouge Paris, France. Upcoming in 2014, a major retrospective exhibition of his work will be held in the Maison Européenne de la photographie in Paris. 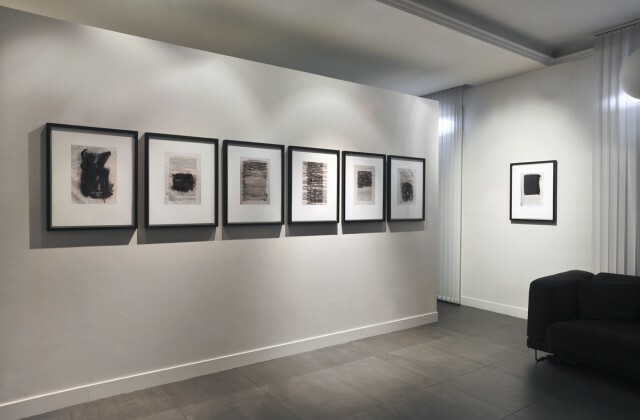 Exhibition « Joan Fontcuberta. Deletrix » from October 18th until December 15th 2012. By appointment.